You are here: Home News The Smallest Tangerine/Mandarin ever! Posted on January 21, 2010	by Jesmond Darmanin	in News	with No Comments on The Smallest Tangerine/Mandarin ever! I just took this photo in the garden. I picked this up myself from the Tangerine (or Mandarin) tree! smells sweet like a real Tangerine. To cute! 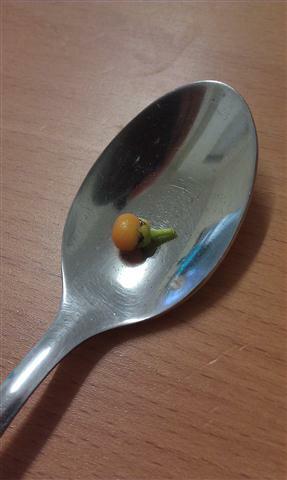 The smallest tangerine / mandarin ever!